The 1st FC 04 is the oldest football club in Oberursel. We feel committed to this tradition. We want to be a lively club where we have fun together and enjoy football and celebrate success. 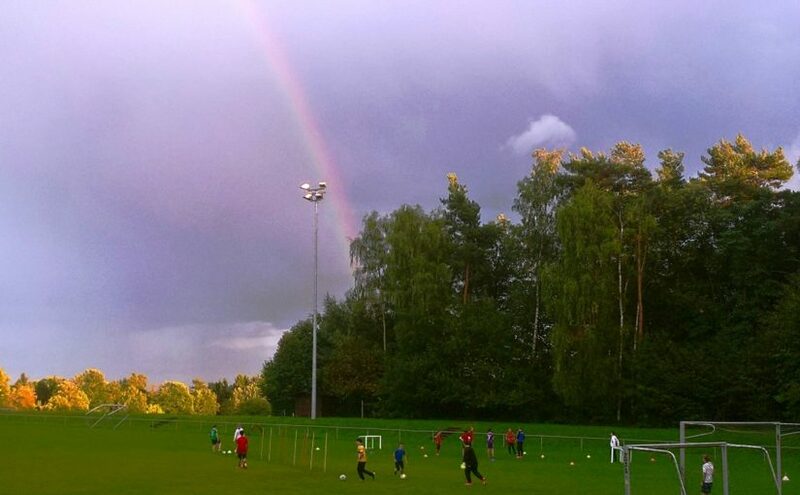 The fun of football unites all players in the club, regardless of gender, age and origin. The aim of the association is a sustainable youth work with trained trainers and coaches. We want to fill our senior teams as far as possible with players from our own offspring and play attractive football. The association encourages joint activities beyond football and thus promotes social skills such as team spirit, enjoy success, support disappointments, make friends and exchange experiences. The association is constantly working on improving the infrastructure in order to create the best possible conditions for training, play and club life. Fair play in the game and in training is our top priority. We respect opponents and referees. The fun of football is the central motivation, followed by sporting success. Each player is seen as an individual, accepted and taken with respect. Trainers are always aware of their role as role models. The 1. FC 04 Oberursel is a non-profit football club and operates without any losses. The association is run by volunteers and assistants who see themselves as teams. Anyone who would like to support the association financially or otherwise is welcome – but an influence on the work in the association is impossible.